Tech toes designed and built for splitboarding. The NEW Phantom x Spark R&D collab toes are made specifically for splitboarding. We designed them so that no adapter plates are needed, beefed them out at notorious breakage points, and strengthened the lock-out levers. 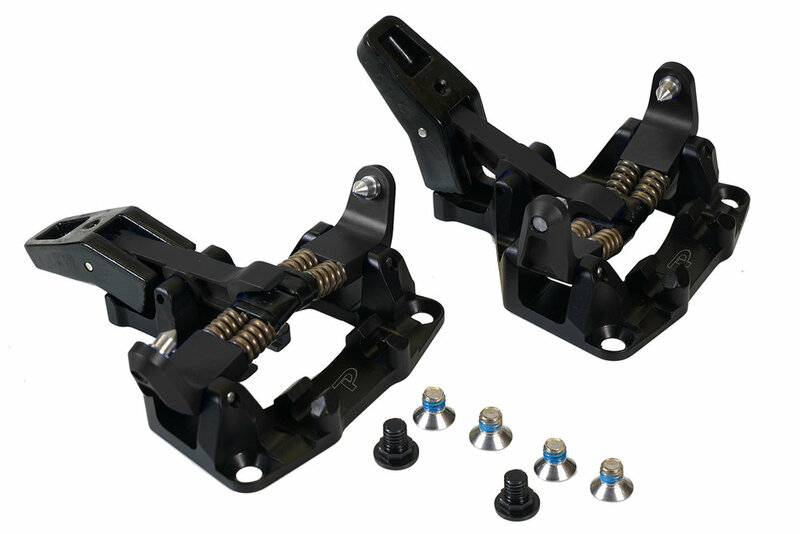 They easily mount to the touring bracket inserts on factory-built splitboards and can be switched from board to board by unscrewing only 2 screws. Built-in crampon mounts accept both our new splitboard crampons and Dynafit ski crampons.